Terri Roth trudges through the thick, dark Sumatran jungle. She’s looking for a rhinoceros that’s been seen in the area. It’s a rare Sumatran rhino, the world’s smallest rhino and one of the most endangered mammals on the planet. This story follows Terri on a journey of ups and downs to save Sumatran rhinos from extinction. 64 pages. Terri spots a young female rhino through the tangle of ferns and trees. The stocky animal is covered in reddish hair, and her snout sports two stubby horns. The rhino walks right up to Terri. 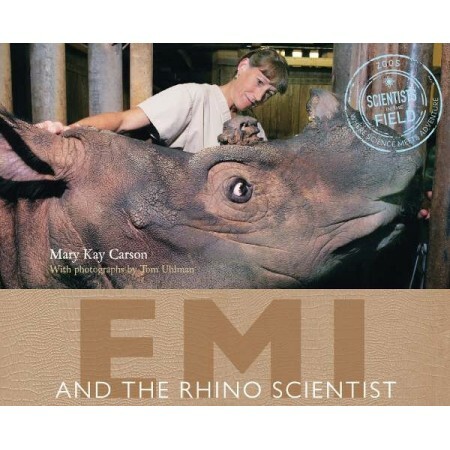 The scientist slowly reaches out her hand and touches the rhino’s big nose. 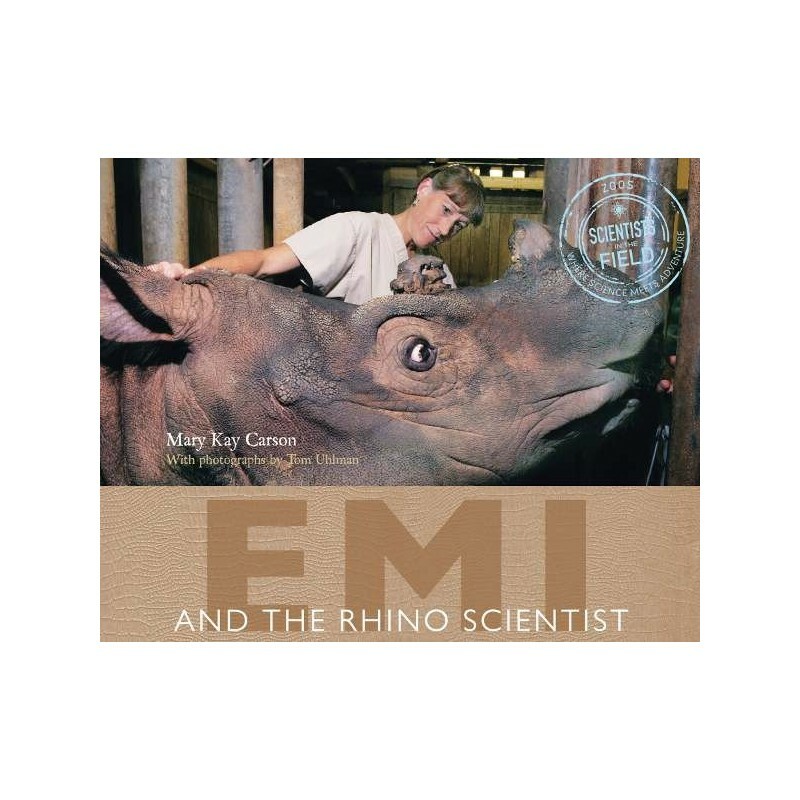 The wild rhino’s curiosity and friendliness remind Terri of Emi, the female Sumatran rhino that lives at the Cincinnati Zoo where Terri works. Terri is working with Emi to help save Sumatran rhinos from extinction—one calf at a time. By Mary Kay Carson. Photographs by Tom Uhlman. Hardcover. 64 pages. 29cm x 23.5cm.